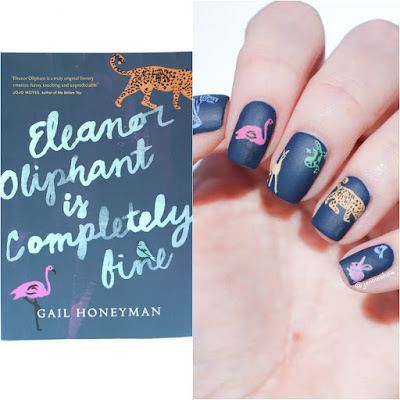 About a month ago, my CP Gina Heron told me to read ELEANOR OLIPHANT IS COMPLETELY FINE. Like most book enthusiasts, my TBR pile needs the wall for support (not that it stops me from picking up new ones, of course), but I agreed to add it to the pile. A week later, Gina asked if I'd started yet, because she knew that I'd go crazy for the voice. In the end, it took me almost a month to dig in and OMG THANK YOU GINA BECAUSE ELEANOR IS EVERYTHING. Okay, people. 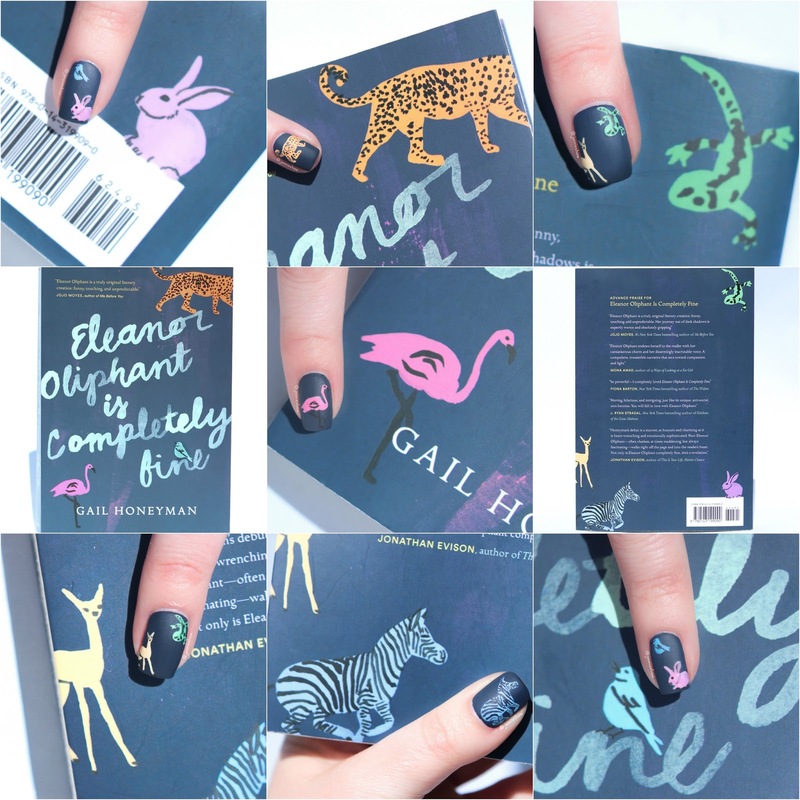 I need you to listen to me: read ELEANOR OLIPHANT IS COMPLETELY FINE. Like, don't even bother reading this review, just head to the bookstore this instant and buy a copy. Kidding! You should totally read my review. Haha! But afterwards, you need to pick it up. Not an ebook, though. You'll want this baby to adorn your bookshelf because (a) the cover is covered in quirky animal drawings and (b) Eleanor Oliphant is a character you'll want to visit again and again. So why is Eleanor the greatest? For starters, she's her own person. An anti-social, blunt woman with snobbish tendencies, an extremely limited wardrobe, and no filter whatsoever. What Eleanor thinks, she says. And that's mostly a bad thing. She goes about her life adhering to a strict schedule, designed to keep her isolated because she's learned that most people don't like her. At first, I thought Eleanor was okay with a solitary life. She appeared pragmatic and accepting of her circumstances, but the first-person narration put me inside Eleanor's head and it wasn't long before my heart began to hurt. Eleanor felt unworthy of affection, thanks to her mother (DO NOT GET ME STARTED ON HER MOTHER) and it gave me feels, folks. Lots and lots of feels. 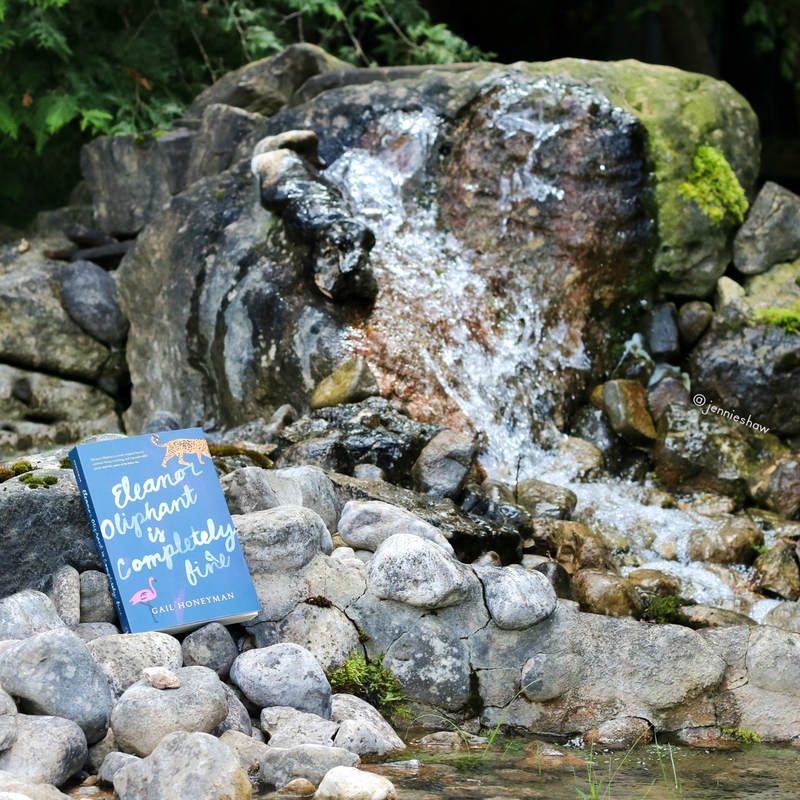 Because when Eleanor decided to risk another attempt at connecting to others, her efforts often ended in failure and as a reader, I could understand why. Eleanor didn't, though, which is why I experienced the full spectrum of sadness. That is, until Raymond and Sammy came onto the scene and slowly shifted Eleanor's manner of thinking. Usually I paint the cover, but I couldn't resist drawing all these super cute animals! And that's why ELEANOR OLIPHANT IS COMPLETELY FINE rocked my world. There wasn't an omniscient narrator describing her journey from afar, only Eleanor on the front lines, which could've been a disaster, but Honeyman's masterful writing made it work. Hell, it more than worked. It shone like the frickin' north star in a cloudy sky. I'm talking about next-level bananapants, people--a relative banana pantsuit of exquisite prose, if you will. Because for real. How did Honeyman achieve a quirky, endearing, exceptionally socially-inept character? How did I laugh and cry, sometimes in the same moment? How is that level of nuance possible? It's probably some sort of sorcery, which I'm totally cool with it, albeit a little jealous. My heart soared and sank more times than I could count because ELEANOR OLIPHANT captured what it's like to change: painful, slow, and ultimately uplifting. But it requires a person to face themselves, admit wrongdoings and accept the past, which is what Eleanor did. It felt like an honour to ride along with Eleanor as she attempted to redefine herself, and omg, did her cutting wit make me laugh. Humour that relies on juxtaposition, unbeknownst to the narrator, is such a challenge to accomplish and Honeyman smoked it. So if you were a fan of THE ROSIE PROJECT, and have an appreciation for sophisticated language with an exposed heart, ELEANOR OLIPHANT IS COMPLETELY FINE needs to skyrocket to the top of your list. Like, why are you reading this sentence when you should already be in your car, zooming towards a bookstore? GET OFF THE INTERNET AND GO!! Adding it to my list STAT! This is one of my favorite manis of your lately. SOOO good! 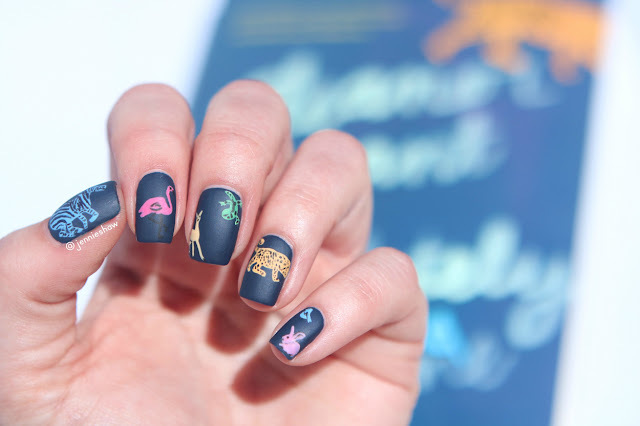 I love the matte background with bright colored animals. You're so talented!